Home » Coast to coast » As Mumia’s condition worsens, demand his release to a hospital! 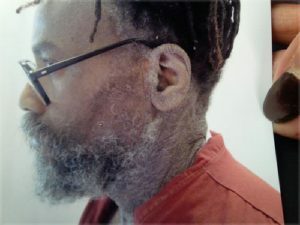 Political prisoner Mumia Abu-Jamal’s health crisis is grave, and people everywhere are being asked to take immediate action to demand that the Pennsylvania Department of Corrections stop their attempt to murder him through medical neglect. Key demands are that he immediately be released to a hospital for emergency care and that he be given compassionate release to be with his family. On April 24, Abu-Jamal was visited by his spouse, Wadiya Jamal, who reported that his condition had worsened. She saw him again on April 25 and raised the alarm that he appeared even more gravely ill.
On March 30, Abu-Jamal was taken from the prison infirmary at SCI Mahanoy in Frackville, Pa., to a nearby hospital emergency room in Pottsville, Pa., in diabetic shock from a blood sugar level of 779. Since his return to the prison infirmary on April 2, he continues to suffer from a diabetic condition that has not been properly treated and complications from severe eczema that have been mistreated. There is an additional concern that the infirmary is giving him the drug cyclosporine for his skin condition even though this drug has many known and serious side effects and may interact with diabetes medication. On April 21, Abu-Jamal was released from the prison infirmary even though he was in no condition to be in general population. His request to be seen by independent medical specialists was denied by the PA Department of Corrections. He remains in need of 24-hour care and supervision, too weak to be able to ask for help and at risk of losing consciousness. This is what happened before when he was rushed to the hospital in March. 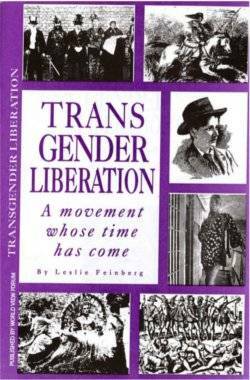 At that time, another prisoner, Major George Tillery, complained to the guards that Mumia needed immediate medical attention. In retaliation, the prison moved Tillery to another unit. Wadiya Jamal reported that Mumia has severe swelling in his neck, chest and legs. His skin rash is worse than ever with open sores. No longer in a wheelchair, he can only take baby steps. He was nodding off during the visits with his spouse and unable to feed himself. These are symptoms that could be associated with hyper glucose levels, diabetic shock, diabetic coma, and with kidney stress and failure. Everyone is urged to call the prison, officials with the Department of Corrections and Pennsylvania’s Gov. Tom Wolf, who in February put a moratorium on the death penalty. Abu-Jamal’s prison number is AM 8335. The situation is urgent. Demand that prison officials call Mumia’s spouse and his lawyer Bret Grote to discuss his condition. Demand that Abu-Jamal be seen by a competent doctor immediately and that he be taken to a hospital with emergency doctors capable of providing proper treatment. You are further urged to call local news sources in your area that would report on this crisis and to share this concern with your contact lists and via any social media you use. On Twitter use the hashtag #MumiaMustLive.